Q1:Are you a factory or trading factory9 -----We are factory supplier. Q3:Can you provide OEM service9 -----Yes,we accept to do OEM business. We could produce according to government tender specifications. 3 YRS Shenzhen Tactop Industrial Co., Ltd.
1 YRS Quanzhou Kenbo Bags Co., Ltd.
Q:If you can offer sample9 A:Yes, We are honered to offer you sample and we will charge a sample fee. Of course we will return back the sample fee once have a order . Q:How many days for samples delivery9 A: 10-15days, special offer, will be 5-7days. Q2:Can I ask for samples free9 -----Yes,we can send you samples for free if you are our VIP customers. Q3:Can you provide OEM service9 -----Yes,we accept to do OEM business. If you have any other payment requirements,please leave message or contact our online sale team directly. Q: Can I get samples9 A: We are honered to offer you sample and we will charge a sample fee. We always attach great importance to quality controling from raw material to shipping. 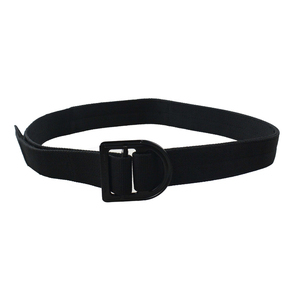 Q:Do you have any certificate9 A:Yes we have certificate of fabric and buckle like ad fabric IRR TEST etc. We have above 150 workers and 7000 square meters work place. Q 4 - How can we get some samples9 A: Free samples but the transport fee on customer's cost. Q 5 - What's your production lead time9 A: Usually within 30 days after got the deposit. 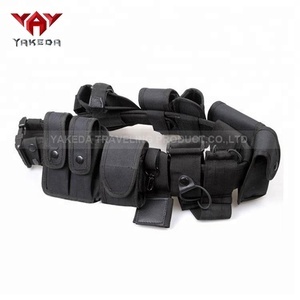 Able to attach different kind of pouches and holster. 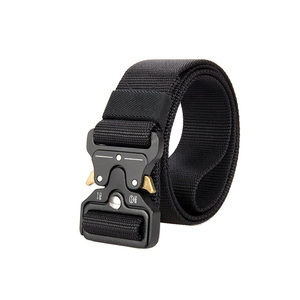 Suitable for law enforcement and military use. 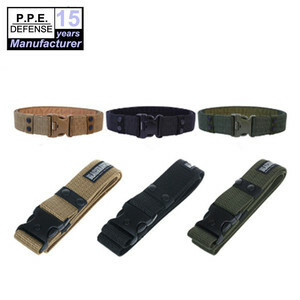 Our products have already won acclaim amongst the most Army and Police Forces. 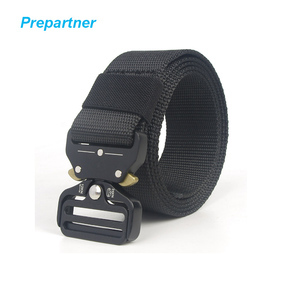 Alibaba.com offers 9,161 army nylon belt products. About 31% of these are other police & military supplies, 26% are fabric belts, and 6% are webbing. 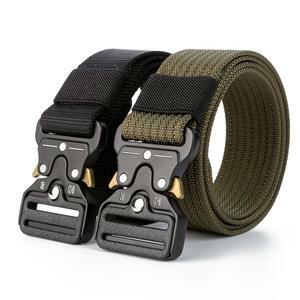 A wide variety of army nylon belt options are available to you, such as free samples, paid samples. 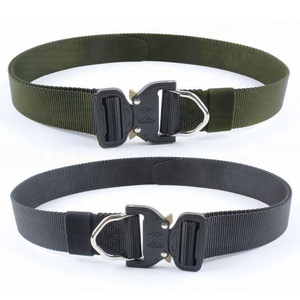 There are 9,161 army nylon belt suppliers, mainly located in Asia. 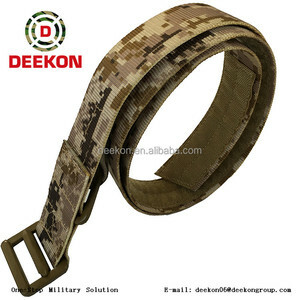 The top supplying country is China (Mainland), which supply 100% of army nylon belt respectively. 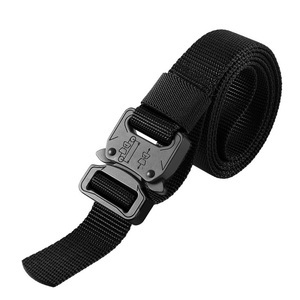 Army nylon belt products are most popular in North America, Western Europe, and South America. You can ensure product safety by selecting from certified suppliers, including 2,692 with ISO9001, 747 with Other, and 243 with BSCI certification.